This page contains the FTC Disclosure for BiblicalPOV.Com. Hello! 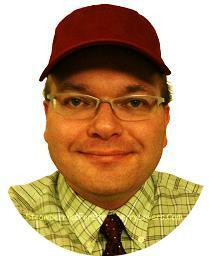 I'm Steve Gilkey, Founder and Owner of BiblicalPOV.Com. This site is funded in part through advertising. With some advertising, a visitor clicking on an advertisement is all that is necessary for this site to make money. For other advertisements, if a person clicks on an ad and then later buys something from the advertiser, this site may receive a commission. A third way this site may receive advertising revenue is by renting ad space. Product reviews on this site are never based on an advertising relationship. Anytime I review a product, I only tell you what I really think. The prices of things bought through ads on this site are exactly the same as prices charged by advertisers on their own websites. The ads are a "win" for all of us. The ads make it convenient for you to find and purchase the things you want; the advertiser is able to make some money (which, among other things, helps the advertisers to retain their employees); and I and this site get much needed funds (which, among other things, helps to keep this site available for people like yourself). I welcome any comments or suggestions you might have on the ads displayed here at StrawberriesForStrawberryLovers.Com; on this FTC Disclosure; or on anything else related to this site. Please submit your comments/suggestions on the "Make Contact!" page, which you can access by clicking here. If your comments concern an ad, please be sure to describe the ad as much as possible, including which page it was located on (copying the URL and pasting it into your submission is best) and precisely where on the page that ad was positioned. Thank you for taking the time to read this, and thank you for your support of this site. Originally posted September 30th, 2012.